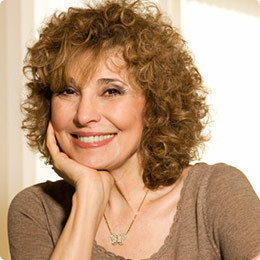 Peggy Goldman is a travel expert, specialty tour operator, and co-owner of Friendly Planet Travel. She has spent most of her life traversing the planet. Since founding Friendly Planet over thirty years ago, Peggy has been deeply involved in arranging our fantastic travel deals. In crafting our packages, Peggy considers every detail of travel, from hotel selection to planning events and attractions travelers won't want to miss. She also strives to include opportunities for travelers to give back to people in need in the countries they visit through various initiatives, such as funding the digging of wells for rural families without clean water in Cambodia, and sponsoring a Kiva micro-lending team for our travelers and friends. Peggy authors our blog, where she provides readers with the latest travel news, trends, advice, and reviews of our newest tour packages. She also produces podcasts with travel bloggers, product reviews, and much more. Peggy has appeared in various news outlets including the New York Times, The Wall Street Journal, USA Today, FOX News, SmartMoney, Los Angeles Times, and more. Peggy is IATAN and ARC accredited, and is also a member of the American Society of Travel Agents (ASTA), International Airlines Travel Agent Network (IATAN), International Air Travel Association, and Cruise Lines International Association (CLIA). She resides in Elkins Park, PA with her husband and business partner, Ilan Fink.